PLEASE NOTE:THIS CRAFTER'S OFFERING CANNOT BE COMBINED OR SHIPPED WITH ANY OTHER NON-CRAFTER CATEGORY ITEM(S). THIS SELECT GROUP IS SHIPPED FROM A SPECIAL WAREHOUSE FACILITY RATHER THAN FROM OUR STOCK ITEMS WAREHOUSE. 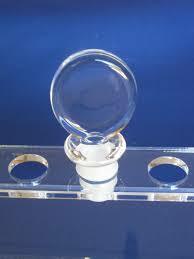 IF YOU HAVE ANY QUESTIONS PLEASE REFER TO OUR Acrylic Crafting Blanks PAGE OR CALL (972) 345-0472.